Yes, you have read the title correctly. 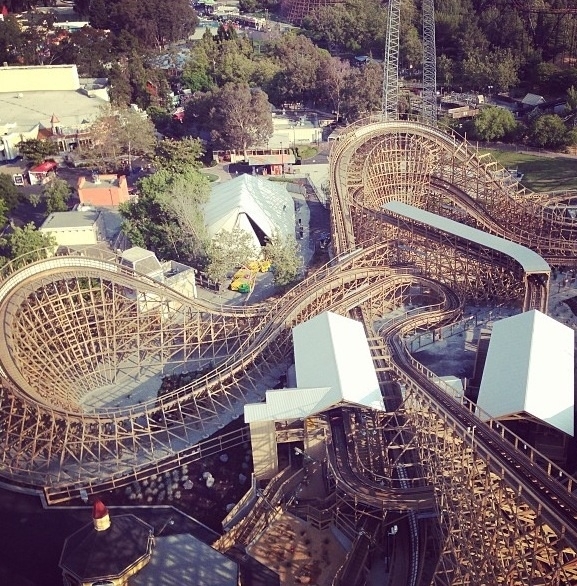 Gold Striker has ceased operation as of 7/1/13, giving its last rides Sunday evening. The reasoning behind this was due to noise complaints from the riders experiencing the park's latest adrenaline rush, via Prudential. 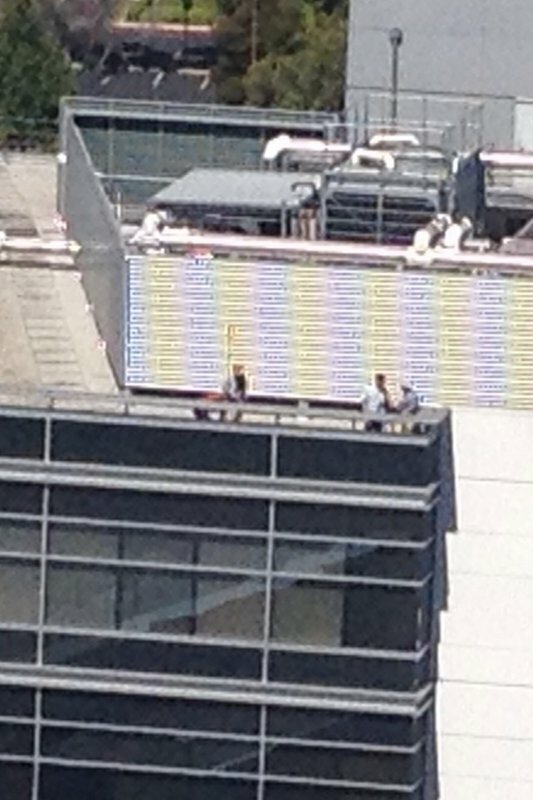 Prudential owns the 2 office complexes right next to the Gold Striker site, just beyond the parking structures. On 6/28, the park submitted plans for some sound tunnel modifications and as of today, framework has gone up coming out of the first turnaround. Note the framework that already popped up just within today. It has not been stated yet as to when the ride will reopen but this weekend could potentially be a big weekend for the park due to the holiday. One can hope that this down time won't last too long. 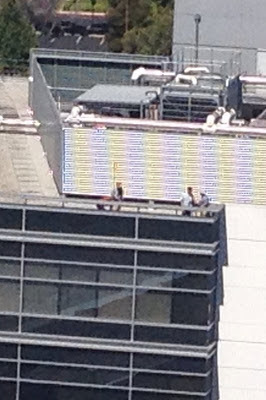 Mean time, Saturday, 6/22/13, audio technicians were spotted on top of the neighboring office complex with sound equipment collecting sound data while the coaster was running. What was interesting on 6/30/13 was the fact that the ride did not open with the park at 10:00 (or as of recently, Gold Striker has been opening 30 minutes late). It was "experiencing technical difficulties" and didn't open until around 1:00 or so. Due to the heatwave the bay area is getting hit with, much of the crowds flocked to Boomerang Bay, leaving some really short waits for Gold Striker. This made a great way to get last rides in as several of us were aware of the looming ride closure after the 30th. There is hope that the ride could be ready for this weekend! Stay tuned for future updates and be sure to follow CGA Insider on Facebook! After it re-opens, we'll need to find some way to sneak on 24 airhorns so that everyone on the train can blast them nonstop throughout the circuit. At least there'll be more "take the tunnel" action when it re-opens!